Manny Pacquiao throws a right at Floyd Mayweather Jr. during their welterweight unification championship bout on May 2, 2015 at MGM Grand Garden Arena in Las Vegas, Nevada. 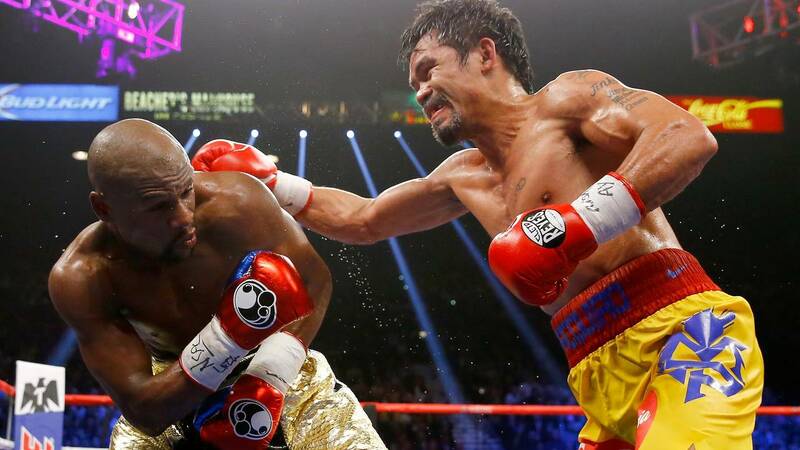 (CNN) - It was almost three years ago that Manny Pacquiao and Floyd Mayweather fought in the "Fight of the Century" and now the 40-year-old Pacquiao wants to avenge his 2015 defeat. Fight of the Century II? While Mayweather has returned to the ring recently, taking just 140 seconds to beat Japanese kickboxer Tenshin Nasukawa in an exhibition fight on New Year's Eve, Mayweather Promotions' Leonard Ellerbe told reporters Mayweather "had no interest" in fighting Pacquiao. Mayweather, 50-0, came out of retirement to take on Nasukawa which had shades of his previous lucrative comeback, his 2017 bout against UFC lightweight champion Conor McGregor for which he reportedly earned over $300 million.